It looks pretty difficult, right? But, actually this rolled updo is one of the easie.. It looks pretty difficult, right? But, actually this rolled updo is one of the easiest to create. For better grip and styling, use a day-old hair. Prep it with some anti-frizz serum then do either a side part or a middle part. Divide the hair into two sections; clip the left section first to get it out of the way. 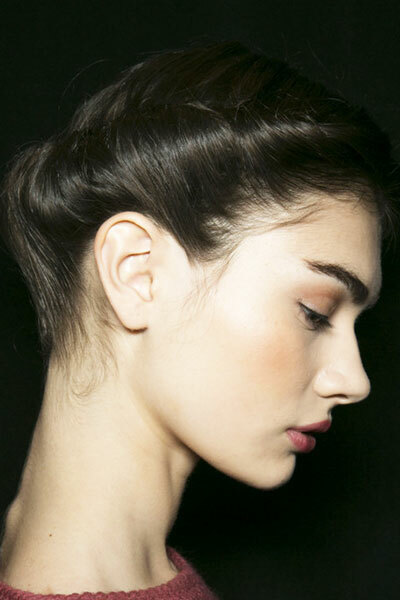 Start with the right side by grasping the front part of your hair and simply roll it inwards. Add a few more as you go. When you reach the nape, secure it with pins, leaving some hanging loose. Do the same thing to the other side. Twist and roll the loose ends of your hair and tuck it in the rolled portion and secure with bobby pins. Set the style with hairspray and gently comb the loose strands for a polished finish.